Like everyone, the death of Michael Jackson has been a serious shock. Of course, when shocked, my first reaction is to mumble a lot of crass jokes about Boy Scouts and the like, but once it hit me that someone I grew up listening to died? I have to admit, I’m kind of depressed. A glance at Michael’s history as an artist reveals a singular talent. This is indeed a once-in-a-lifetime talent who excelled at singing, dancing, marketing, and even TV appearances. At one time, he was an extraordinary talent: He made incredible music and danced like no human will ever be able to perfectly replicate. But the Michael Jackson that everyone is mourning today? She’s right. 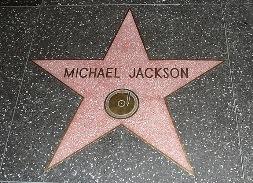 The Michael Jackson who changed the musical world has been gone a long time. What remains is a sad freak show, almost too pathetic to mock thanks to his many money problems and obvious psychological issues. Isn’t that always the case with the truly brilliant, though? Look at Van Gogh or Hemingway or Hunter Thompson. With every figure that transcends the bonds of mortality and becomes truly legendary, there is an equal and epic fall from grace. Even in the midst of a legendary comeback attempt, Jackson could not escape mortality. I can only hope that the peace he never had in life can be his in death.